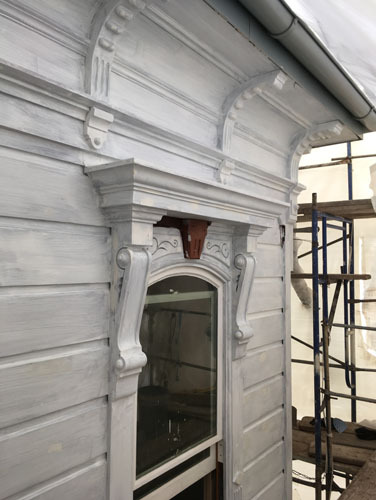 There are a few more small details to be handled on the front, including some new sills, but the primer protects the wood as we get into the rainy season. 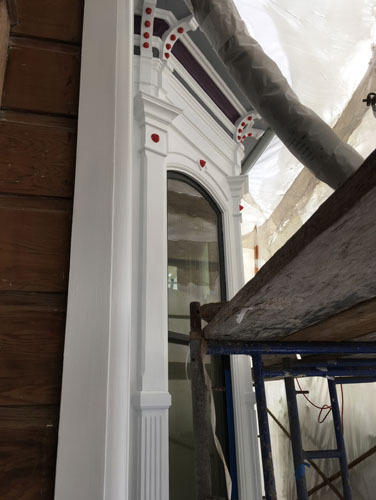 One place where there is still a bit of work is the window of the Accordion Room, which is over the front porch. The shadows of these diamonds were on the windows, but we have no idea what they were like because none of them remained on the house (every other piece that was missing was still on the house somewhere). I think it is very likely that there was a button or lozenge of some kind in the middle of those diamonds. Just comparing them to the other similar pieces of ornament, and also seeing how button-happy Mr. Holt got while building this house. For one thing, the bays turn out to be fairly white in the hierarchy of colour we already established, and then the buttons look like a bunch of random cherries in whipped cream. I spent some time with Photoshop trying to come up with some additional detail, and we're going to do some experimenting over the next few days. It's tedious and involves a lot of back and forth, but I don't know a better way to refine a colour scheme than seeing it in place. 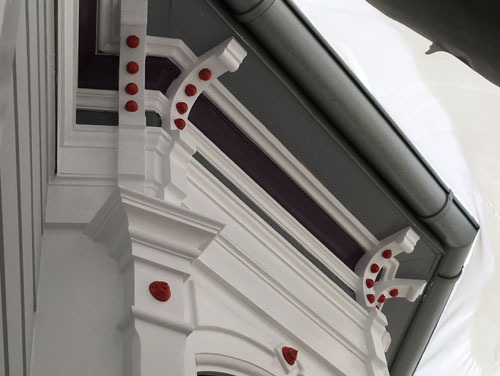 You've probably already thought of this, but would the buttons look more appropriate if they were painted in the same accent grey that you are using on the eaves? 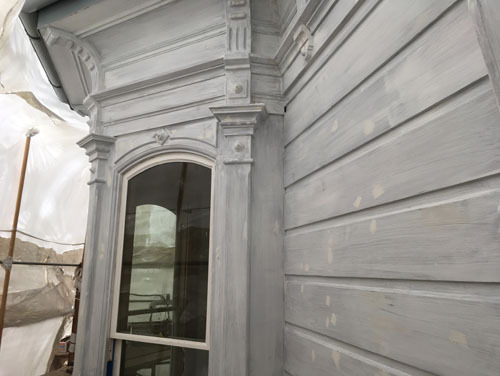 The exterior is really coming together — I am absolutely amazed at the work and effort that is being put into restoring your house to its original state. We've been playing around with a bunch of different options for the buttons. All white looked a little plain. Red looked amazing at first but now isn't working for me. Next up is trying a couple other colours. If nothing looks quite right, I know gold leaf will work perfectly. 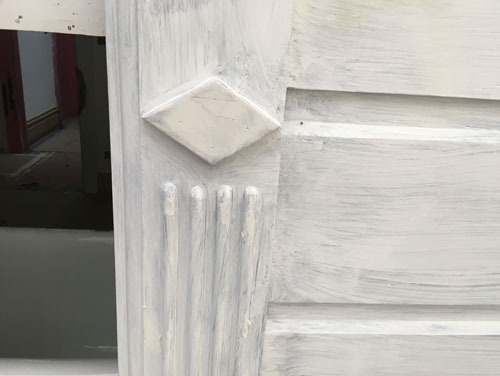 Could the buttons be a grey color between the lighter grey above, and the white. It would stand out from the white like a shadow but not shout 'look at me"
The exterior trim is yummy.